Toast is one of the newest West London mixing studios. By launching this brand new space we are opening a new chapter in a longstanding partnership with leading producer Craig Silvey, who alongside his stacks of great vintage gear will now be based here. Toast is the reincarnation of two recording studios Craig has worked in extensively during his career; The Garden Studios in Shoreditch, East London, where he worked between 2009 and 2012, and the original Toast Studios in California, which Craig founded during his time on the West Coast. Both of these classic studios were renowned for their large and eclectic range of vintage equipment and much of this gear is now in use at 'the new' Toast. The studio is split between a large, day-lit control room and a good size recording booth, which can also be used as a chill-out space. At the heart of the spec is a vintage Neve 8026 console that dates back to the early 1970s. It features an incredibly rare 24-channel monitor section plus a selection of the very best Neve modules: 1084s, 1076s and a 1066. The desk is accompanied by some powerful and accurate Boxer T2 monitors and stacks of esoteric vintage outboard. The recording booth at Toast is a good space for overdubs and is large enough to house a drum kit. A selection of synths, amplifiers and other instruments are supplemented by a good selection of microphones, which makes Toast an equally brilliant writing studio for anyone looking to use top-end vintage gear. 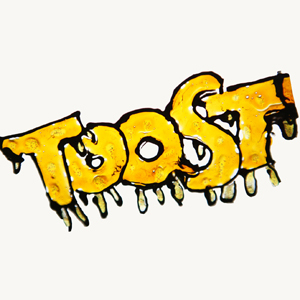 Toast is based in a building used by musicians, record producers and song writers creating a melting pot of creativity. Its West London location is a real draw for artists - who so far include Goldfrapp, Editors, The Horrors and The National - and labels, many of which are located in this part of town. The studio is close to some of the best locations in the West including Ladbroke Grove, Notting Hill and Kensal Green and there are excellent transport links to the rest of the City. Welcome to Toast, London's latest vintage studio gem.